If this is your first time reading here, you should know that at the beginning of 2016 I set out to practice self-compassion, become a better leader and become more intentional about where and how I spent my time. 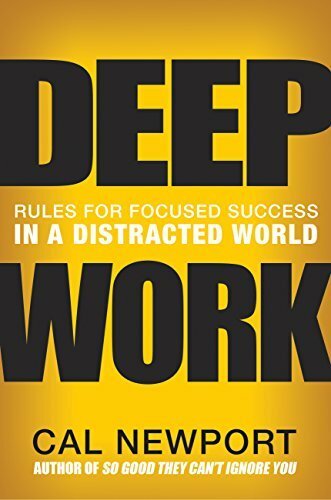 Cal’s Newport’s book “Deep Work: Rules for Focused Success in a Distracted World” has been instrumental to the latter. If you’re a long time reader, you know there are few things I despise more than pointless meetings (that are costing you money), open office environments, and office cultures that care way too much about prompt e-mail responses. If you also dislike those things, or if you just want an edge on your colleagues who answer e-mail and check their social media accounts all day, keep reading. What follows are my favorite takeaways and key insights from Cal’s game changing book. Why is Cal qualified to give the advice in the book? At the age of 33, Cal is an associate professor at Georgetown and he’s already earned tenure in Computer Science. He’s the author of 5 books, runs a popular blog (Study Hacks) and published an insane amount of academic publications. Why do I care about Deep Work? Why is Deep Work so important? Deep Work consists of professional activities performed in a state of distraction-free concentration that push your cognitive capabilities to their limit. These efforts create new value, improve your skill, and are hard to replicate. Deep work, though a burden to prioritize, is crucial for changing the world. The ubiquity of deep work among influential individuals is important to emphasize because it stands in sharp contrast to the behavior of most modern knowledge workers. Shallow Work is non-cognitively demanding, logistical-style tasks, often performed while distracted. These efforts tend to not create much new value in the world and are easy to replicate. Network tools (e-mail, social media, etc.) negatively impact deep work. Deep Work is a skill that has great value today. As we shift to an information economy, more and more of our population are knowledge workers, and deep work is becoming a key currency. The lack of distraction in my (Cal’s) life tones down that background hum of nervous mental energy that seems to increasingly pervade people’s daily lives. As digital technology reduces the need for labor in many industries, the proportion of the rewards returned to those who own the intelligent machines is growing. Those who can work well and creatively with intelligent machines, those who are the best at what they do, and those with access to capital. Because these technologies change rapidly, this process of mastering hard things never ends: You must be able to do it quickly, again and again. You receive feedback so you can correct your approach to keep your attention exactly where it’s most productive. You get better at a skill as you develop more myelin around the relevant neurons, allowing the corresponding circuit to fire more effortlessly and effectively. The best students understood the role intensity plays in productivity and therefore went out of their way to maximize their concentration — radically reducing the time required to prepare for tests or write papers, without diminishing the quality of their results. By working on a single hard task for a long time without switching, Grant minimizes the negative impact of attention residue from his other obligations, allowing him to maximize performance on this one task. Many other ideas are being prioritized as more important than deep work in the business world, including, as we just encountered, serendipitous collaboration, rapid communication, and an active presence on social media. To summarize, big trends in business today actively decrease people’s ability to perform deep work, even though the benefits promised by these trends (e.g. increased serendipity, faster responses to requests, and more exposure) are arguably dwarfed by the benefits that flow from a commitment to deep work (e.g., the ability to learn hard things fast and produce at an elite level). How much time are employees spending time moving around information instead of focusing on the specialized tasks they were hired to perform? Without clear feedback on the impact of various behaviors to the bottom line, we will tend toward behaviors that are easiest in the moment. In the absence of metrics, most people fall back on what’s easiest. For many, standing meetings become a simple (but blunt) form of persona organization. Instead of trying to manage their time and obligations themselves, people let the impending meeting each week force them to take some action on a given project and more generally provide a highly visible simulacrum of progress. Knowledge workers are trending toward increasingly visible busyness because they lack a better way to demonstrate their value. To support deep work often requires the rejection of much of what is new and high-tech. Deep work is exiled in favor in favor of more distracting high-tech behaviors, like the professional use of social media. 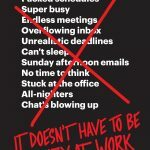 The realities are that deep work is hard and shallow work is easier, that in the absence of clear goals for your job, the visible busyness that surrounds shallow work becomes self-preserving, and that our culture has developed a belief that if a behavior relates to the “the Internet.” then it’s good — regardless of its impact on our ability to produce valuable things. The myopia of your peers and employers uncovers a great personal advantage. Depth will become increasingly rare and therefore increasingly valuable. Another issue muddying the connection between depth and meaning in knowledge work is the cacophony of voices attempting to convince knowledge workers to spend more time engaged in shallow activities. Attention — that is, what we choose to focus on and what we choose to ignore — plays a defining role in our quality of life. We tend to place a lot of emphasis on our circumstances, assuming that what happens to us (or fails to happen) determines how we feel. Even when they’re required to complete something more involved, the habit of frequently checking inboxes ensures that these issues remain at the forefront of their attention. This is a foolhardy way to go about your day, as it ensures that your mind will construct an understanding of your working life that’s dominated by stress, irritation, frustration and triviality. The feeling of going deep is in itself very rewarding. Our minds like this challenge, regardless of the subject. Craftsmanship provides a key to reopening a sense of sacredness in a responsible manner. Your work is a craft, and if you hone your ability and apply it with respect and care, then like the skilled wheelwright you can generate meaning in the daily efforts of your professional life. It follows that to embrace deep work in your own career, and to direct it towards cultivating your skill, is an effort that can transform a knowledge work job from a distracted, draining obligation into something satisfying — a portal to a world full of shining, wonderous things. We should all have a work environment (and culture) designed to help us extract as much value as possible from our brains. Unfortunately, this vision is far from our current reality. We instead find ourselves in distracting open offices where inboxes cannot be neglected and meetings are incessant — a setting where colleagues would rather you respond quickly to their latest e-mail than produce the best possible results. You can expect to be bombarded with the desire to do anything but work deeply through the day, and these competing desires will often win out. You must be careful to choose a philosophy that fits your specific circumstances, as a mismatch here can derail your week work habit before it has a chance to solidify. There are many different ways to integrate deep work into your schedule, and it’s therefore worth taking the time to find an approach that makes sense for you. This philosophy attempts to maximize deep efforts by eliminating or radically minimizing shallow obligations. 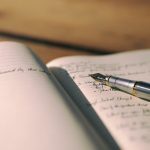 Practitioners of the monastic philosophy tend to have a well-defined and highly valued professional goal that they’re pursuing, and the bulk of their professional success comes from doing this one thing exceptionally well (e.g an author). All of my time and attention are spoken for — several times over. Please do not ask for them. The productivity equation is a non-linear one If I organize my life in a such a way that I get lots of long, consecutive, uninterrupted time-chunks, I can write novels. But as those chunks get separated and fragmented, my productivity as a novelist drops spectacularly. This philosophy asks that you divide your time, dedicating some clearly defined stretches to deep pursuits and leaving the rest open to everything else. During the deep time, the bimodal worker will act monastically — seeking intense and uninterrupted concentration. During the shallow time, such focus is not prioritized (e.g. 3 days out of the work week with no meetings or a professor who only teaches class during the Spring semester). The minimum unit of time for deep work in this philosophy tends to be at least one full day. People will usually respect your right to become inaccessible if these periods are well defined and well advertised, and outside these stretches, you’re once again easy to find. This philosophy argues that the easiest way to consistently start deep work sessions is to transform them into a simple regular habit. The goal, in other words, it to generate a rhythem for this work that removes the need for you to invest energy in deciding if and when you’re going to go deep (e.g someone who wakes up every day at 5:00am to get deep work in guilt free before going into their office job). It fails to achieve the most intense levels of deep thinking; however, this approach works better with the reality of human nature. For a lot of bosses, the standard is that you’re free to focus as hard as you want… so long as the boss’s e-mails are still answered promptly. For this reason, the rhythmic philosophy is one of the most common among deep workers in standard office jobs. This approach is not for a deep work novice. I (Cal) tend to map out when I’ll work deeply during each week at the beginning of the week, and then refine those decisions, as needed, at the beginning of each day. By reducing the need to make decisions about deep work moment by moment, I can preserve more mental energy for the deep thinking itself. 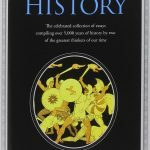 Great minds like (Robert) Caro and (Charles) Darwin didn’t deploy rituals to be weird; they did so because success in their work depended on their ability to go deep, again and again — there’s no way to win a Pulitzer Prize or conceive a grand theory without pushing your brain to its limit. How You will Support Your Work? This support needs to be systematized so that you don’t waste mental energy figuring out what you need in the moment. Properly leveraging collaboration can increase the quality of deep work in your professional life. Professors at MIT — some of the most innovative technologists in the world — wanted nothing to do with an open-office-style workplace. Special gaskets were installed into the doorjambs to improve soundproofing and the professors demanded the ability to close themselves off. This combination of soundproofed offices connected to large common areas yields a hub-and-spoke architecture of innovation in which both serendipitous encounter and isolated deep thinking are supported. The key is to expose yourself to ideas in hubs on a regular basis, but maintain a spoke in which to work deeply on what you encounter. First, distraction remains a destroyer of depth. However, by working side by side with someone on a problem, you can push each other toward deeper levels of depth, and therefore toward the generation of more and more valuable output as compared to working alone. It’s often straightforward to identify a strategy needed to achieve a goal, but what trips up companies is figuring out how to execute the strategy once identified. If focused on deep work, it’s easy to identify the relevant lead measure: Time spent in a state of deep work dedicated toward your wildly important goal. If you need more time, then extend your workday, but once you shut down, your mind must be left free. Unconconscious thought theory – For decisions that involve large amounts of information and multiple vague, and perhaps even conflicting, constraints, your unconscious mind is well suited to tackle the issue. Attention restoration theory (ART), claims that spending time in nature can improve your ability to concentrate. If you keep interrupting your evening to check and respond to e-mail, you’re robbing your directed attention centers of the uninterrupted rest they need for restoration. Even if these work dashes consume only a small amount of time, they prevent you from reaching the levels of deeper relaxation in which attention restoration can occur. Deep work and deliberate practice, as I’ve argued, overlap substantially. The literature reveals an individual’s capacity for cognitively demanding work. For a novice, somewhere around an hour a day of intense concentration seems to be a limit. For experts this number can expand to as many as four hours — but rarely more. You should hit your daily deep work capacity during your workday. It follows, therefore, that by evening, you’re beyond the point where you can continue to effectively work deeply. By deferring evening work, in other words, you’re not missing out on much of importance. Every incomplete task, goal, or project has been reviewed and that for each you have confirmed that either (1) you have a plan you trust for its completion, or (2) it’s captured in a place where it will be revisited when the time is right. There are always tasks left incomplete. Capture every task in a common list, and then review these tasks before making a plan for the next day. Constant attention switching online has a lasting negative effect on your brain. Don’t Take Breaks from Distraction. Instead Take Breaks from Focus (to Give Into Distraction). I suggest that you keep a notepad near your computer at work. On this pad, record the next time you’re allowed to use the Internet. Until you arrive at that time, absolutely no network connectivity is allowed — no matter how tempting. Roosevelt dashes leverage artificial deadlines to help you systematically increase the level you can regularly achieve — providing, in some sense, interval training for the attention centers of your brain. The goal of productive meditation is to take a period in which you’re occupied physically but not mentally — walking, jogging, driving, showering — and focus your attention on a single well-defined professional problem. A side effect of memory training, in other words, is an improvement in your general ability to concentrate. You ability to concentrate is only as strong as your commitment to train it. “Network Tools” (social networks and infotainment sites) fragment our time and reduce our ability to concentrate. The problem with this approach, of course, is that it ignores all the negatives that come along with the tools in question. These services are engineered to be addictive — robbing time and attention from activities that more directly support your professional and personal goals (such as deep work). The notion that identifying some benefit is sufficient to invest money, time, and attention in a tool is near laughable. Identify the core factors that determine success and happiness in your professional and personal life. Adopt a tool only if its positive impacts on these factors substantially outweigh its negative impacts. In many settings, 80% of a given effect is due to just 20% of the possible causes. Identify the main high level goals in both your professional and personal life. The key is to keep the list limited to what’s most important to keep the descriptions suitably high-level. You should have a small number of goals for both the personal and professional areas of your life. Example: The question is not whether Twitter has some conceivable benefit to (author Michael) Lewis; it’s instead whether Twitter use significantly and positively affects the most important activities in his professional life. The question is not whether Twitter offers some benefits, but instead whether it offers enough benefits to offset its drag on your time and attention (two resources that are especially valuable to a writer). This quest for self-importance (i.e. you “like” my status update and I’ll “like yours) plays an important role in convincing people to continue to thoughtlessly fragment their time and attention. If you give your mind something meaningful to do throughout all your waking hours, you’ll end the day more fulfilled, and begin the next one more relaxed. Shallow Work: Non Cognitively demanding, logistical-style tasks, often performed while distracted. These efforts tend not to create much new value in the world and are easily to replicate. (See: most e-mails). Performance psychologists have extensively studied how much such efforts (deep work) can be sustained by an individual in a given day. For those familiar with the rigors of such activities, the limit expands (from one hour) to something like four hours, but rarely more. Shallow work is inevitable, but you must keep it confined to a point where it doesn’t impede your ability to take full advantage of the deeper efforts that ultimately determine your impact. To summarize, the motivation for this strategy is recognizing that a deep work habit requires you to treat your time with respect. A good first step toward this respectful handling is the advice outlined here: Decide in advance what you’re going to do with every minute of your workday. What percentage of my time should be spent on shallow work? (This is usually between 30-50%). Doing this means that you’ll almost certainly end up forced into saying no to projects that seem infused with shallowness while also more aggressively reducing the amount of shallowness in your existing projects. It’s incredibly wasteful to pay a highly trained professional to send e-mail messages and attend meetings for thirty hours a week. I call this commitment fixed-schedule productivity, as I fix the firm goal of not working past a certain time, then work backward to find productivity strategies that allow me to satisfy this declaration. Another tactic that works well for me is to be clear in my refusal but ambiguous in my explanation for the refusal. By reducing the shallow while preserving the deep, this strategy frees up time without diminishing the amount of new value that we generate. The limits to our time necessitate more careful thinking about our organizational habits. Any obligation beyond your deepest efforts is suspect and seen as potentially disruptive. Your default answer becomes no, the bar for gaining access to your time and attention rises precipitously, and you begin to organize the efforts that pass these obstacles with a ruthless efficiency. Most people easily accept the idea that you have a right to control your own incoming communication, as they would like to enjoy this same right. More important, people appreciate clarity. Most are okay to not receive a response if they don’t expect one. The notion that all messages, regardless of purpose or sender, arrive in the same undifferentiated inbox, and that there’s an expectation that every message deserves a (timely) response, is absurdly unproductive. Default behavior (for famous academics) when receiving an e-mail message is not to respond. It’s the sender’s responsibility to convince the receiver that a reply is worthwhile. The curmudgeons among us are vaguely uneasy about the attention people pay to their phones, and pine for the days of unhurried concentration. A commitment to deep work is not a moral stance and it’s not a philosophical statement — it is instead a pragmatic recognition that the ability to concentrate is a skill that gets valuable things done. The deep life, of course, is not for everybody. It requires hard work and drastic changes to your habits. For many, there’s a comfort in the artificial busyness of rapid e-mail messaging and social media posturing, while the deep life demands that you leave much of that behind. There’s also an uneasiness that surrounds any effort to produce the best things you’re capable of producing, as this forces you to confront the possibility that your best is not (yet) that good. This blog started primarily as a marketing blog. Now, I write much more about work/life, social psychology, health and happiness. I continue to explore top performers (authors, entrepreneurs, business leaders and more) and dissect what we can take away to be top performers in our own work and personal lives.